There are some promising young arms in the Lansing bullpen despite the struggles that some of them might have had this season. Arik Sikula, 24, led the club in appearances (50) and saves (19) and had a very solid season for the Lugnuts. Sikula had an excellent 1.93 ERA, a 0.97 WHIP, 18 walks and 60 strikeouts in his 60 2/3 innings. The only things that kept him from winning the Reliever of the Year awards were his slightly higher FIP (2.59) and .253 BABIP that is considerably below league average. Sikula is a little old for the level but has performed well in every assignment since being drafted in the 36th round of the 2011 draft. I can see Sikula heading either to Dunedin or New Hampshire next year. Our Reliever of the Year, Ian Kadish, 25, put together his best professional season after being signed as a non-drafted free agent in 2011. 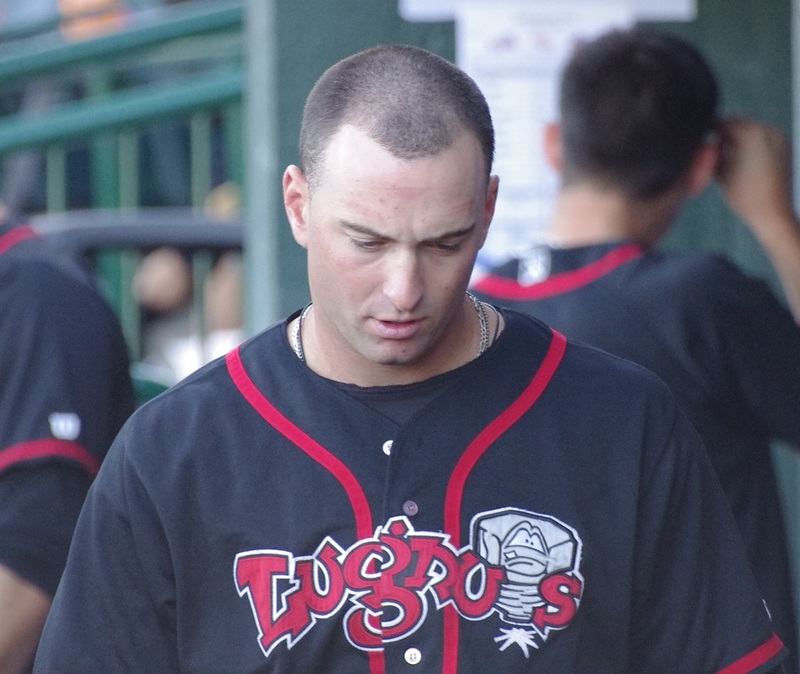 Throwing 67 innings for the Lugnuts, he put up a 3.36 ERA (with a 2.72 FIP) with a 1.16 WHIP, 15 walks and 71 strikeouts for impressive ratios of striking out 28.2% of batters faced and walking only 5.4%. The Cincinnati native will look to impress the brass in Spring Training and could end up in New Hampshire. The Blue Jays assigned 23-year-old Tucker Donahue to Lansing this year after his time in Vancouver last season. The fourth round pick in the 2012 draft has excellent heat (up to 94 mph) but has been working on harnessing that velocity with the team’s coaches. Donahue ran into some poor luck with a .349 BABIP and his 6.26 ERA is a bit inflated (FIP was 4.32). Donahue pitched 54 2/3 innings and walked 28 and struck out 45, figures that could both be improved upon. I can see Donahue returning to Lansing next year to try to figure things out before moving up in the system. 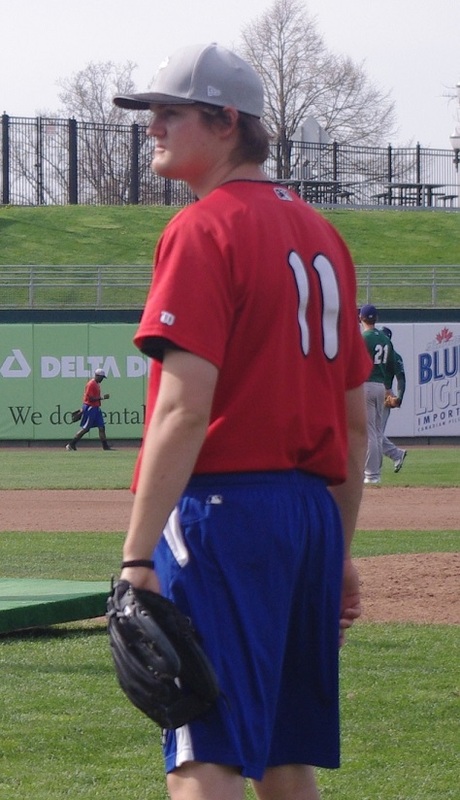 Despite starting the year on the DL and shaving off his famous moustache (pictured above), Griffin Murphy, 22, made 36 appearances with the Lugnuts, mainly seeing multiple innings and threw a total 71 innings over the course of the season. The 6’3″ lefty, who was selected in the second round of the 2010 draft, put up decent numbers in his first full season with a 4.18 ERA and a 1.56 WHIP to go with 31 walks and 60 strikeouts. Murphy is another pitcher who will need to find his control a little more in order to succeed. While he was considered a fairly high-level prospect at one time, his consignment to the bullpen takes some of the shine off of him. Murphy will likely come back to Lansing but, with a good Spring Training and good health, could end up at a higher level. Wil Browning, a side-arming righty that the Blue Jays signed as a non-drafted free agent out in 2012, was one of the club’s most reliable relievers and earned a mid-season All-Star berth. Browning, 25, compiled some excellent numbers in Lansing before pitching even better in Dunedin after call-up there. In Lansing, he threw 44 1/3 innings with a 2.44 EA and a 1.20 WHIP and walked a fairly high number of batters (24) but struck out an incredible 66. In Dunedin, however, he reined in the walks, walking no one in 17 2/3 innings to go along with 15 strikeouts, a 1.02 ERA and 0.74 WHIP. It wouldn’t surprise me to see Browning coming out of the pen in New Hampshire next season. The Blue Jays selected 23-year-old righty Efrain Nieves in the 2012 Rule 5 draft and he spent most of this season with the Lansing Lugnuts (after a brief stint in Dunedin). Nieves was another long man out of the bullpen, throwing 55 innings in 28 appearances (after getting four starts in Dunedin) and put together a solid season with a 4.09 ERA, 1.33 WHIP, 25 walks and 54 strikeouts. Those numbers were a little bit better than the ones he had in Dunedin and while the control is potentially an issue, I can see Nieves getting another shot in Florida next year. 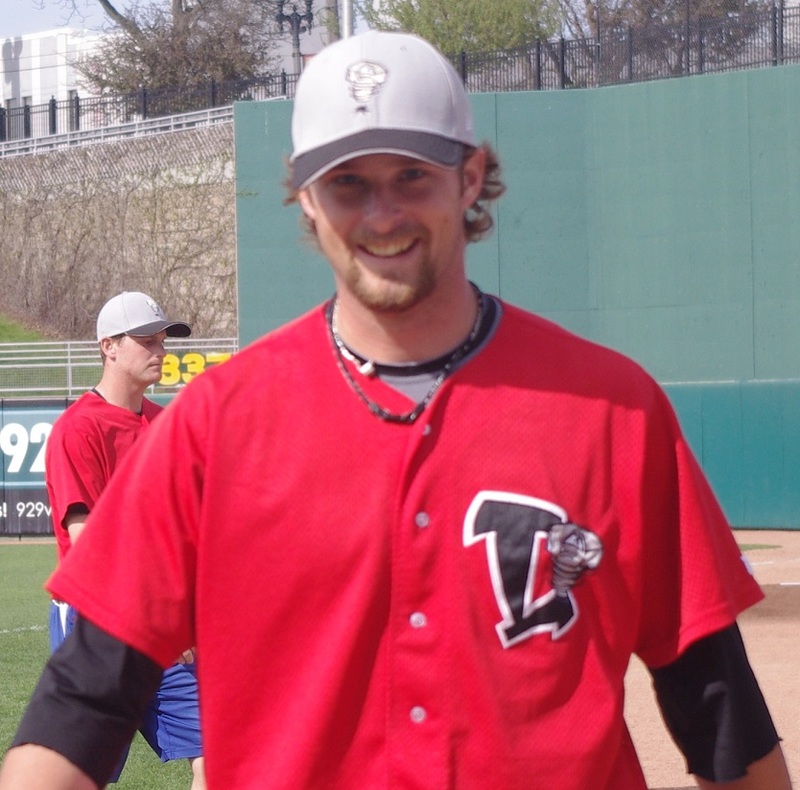 The king of multi-inning appearances for the Lugnuts was Kramer Champlin who only made two starts but still managed to log 81 innings over the course of the season. The 33rd round pick from 2011 (out of Arizona State University) flirted with history on June 8th when he pitched a complete game, seven-inning shutout (in the second half of a double header) and allowed just one hit, no walks and struck out ten, coming just one out away from a perfect game. Champlin, 23, finished the year with a 3.67 ERA, a 1.00 WHIP, just 16 walks and 73 strikeouts. If he hasn’t earned a longer look in Dunedin (he was hit hard in just over six innings in a brief call-up this year) for 2014, then I’ll be very surprised. One of the most interesting players that got significant time on the mound for the Lugnuts in 2013 was 24-year-old Asheville, North Carolina native Justin Jackson. Jackson, a first-round draft pick all the way back in 2007 began his conversion to being a pitcher this season and made some huge strides, flashing a 95-mph fastball off the mound this year. In his 34 1/3 innings in Lansing, Jackson’s biggest obstacle was his lack of control: he walked 24 and struck out 26 but posted a (lucky) 2.36 ERA (with a 4.25 FIP) and a 1.81 WHIP. When he received the call to go up to Dunedin at the end of the season, he showed slightly better control with just five walks (but only eight strikeouts) in 15 1/3 innings. Jackson will be pitching in the Fall Instructional League in order to get more innings under his belt as a pitcher and will likely return to Dunedin in 2014. The final reliever to spend most of the season with Lansing was 2013 ninth-round draft pick Chad Girodo. Girodo, 22, was teammates with starter Kendall Graveman on their Mississippi State baseball team and had his best year in college this season as the team’s closer. While his Lansing numbers on the surface are quite good (1.07 WHIP, five walks and 24 strikeouts in 23 2/3 innings), his inflated ERA of 4.18 is probably due to a low Left on Base percentage of 57.7%. Girodo is a sidearming lefty who barely cracks 86 mph but has great movement on his his fastball and a solid slider that he sometimes struggles to control. I can see him in Dunedin in 2014.